I had mixed feelings about this one. 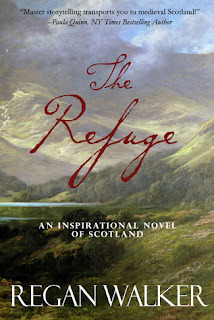 I loved the setting of historical Scotland and appreciated the research that must have gone into realistically portraying the turmoil of the period. The author's foreword was especially informative and helpful before beginning the story. It was the plot and characters I didn't find compelling enough to keep me interested. Catrìona and Steinar are easy to like, but are missing depth. The story is told from mainly their points of view, but occasionally a random scene would be presented from a secondary character's perspective which I felt made things choppy and only served as a way to reveal something that Catrìona is oblivious to. There seemed to be a lot of waiting in between battle scenes that slowed the pace and the characters did a lot of guessing and second guessing their feelings and those of the others. I think this is a book that would be enjoyed by many, but it just wasn't for me.